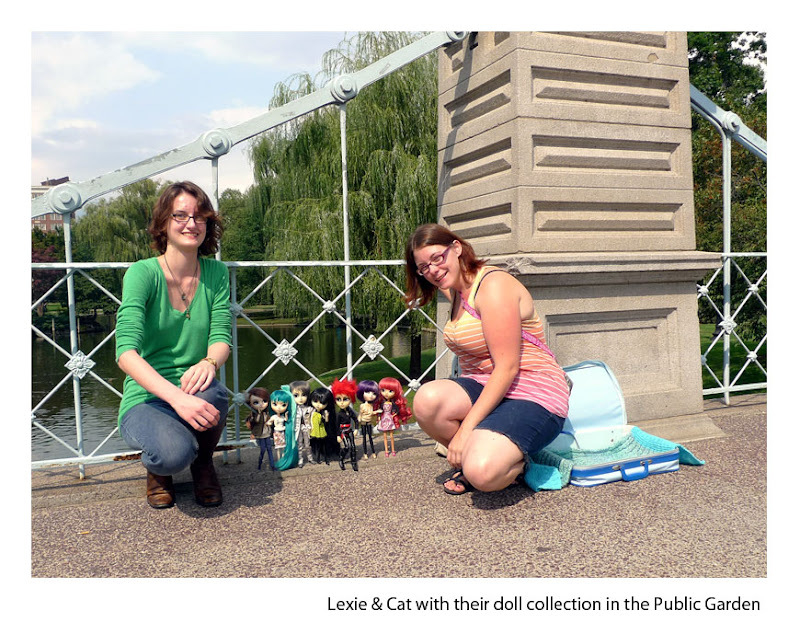 I met Lexie and Cat on my walk through the Public Garden one day last week as they were setting up their dolls on the bridge. I had to stop and ask them what they were doing. It turns out their hobby is collecting dolls and taking pictures of them in different places. You can see Lexie's Photos and Cat's Photos on Flickr. This is a treasure!Great collection of dolls and the girls are adorable! Girls are like beautiful dolls, too. I need to learn to talk to the strangers when shooting. Well, we all have our foibles. ^Click the link for details..We'd love to see you there!! Love it! I think they were in Moss Landing recently. And some people think taking and posting a photo a day is strange. OK . . . . . . . Thanks for stopping to chat with us! We had a fun day that day. the sky will be different in a few hours, its present perfection and completeness.... Happy TGIF! Hoping you can visit my skywatch post. How good that we're all so different. On the face of it, an unusual hobby - their photos are really creative. Nice that you were bold enough to stop and ask too.